Ever wondered if BigSpot.com is legit, well I did and after reviewing them I found some surprising aspects to them. So I thought I would write this Big Spot review to give you a better idea of what they are about especially if your looking to get paid to complete surveys online. First thing you will need to know before going any further is that BigSpot.com are not an actual paid survey site. That's right, despite how they initially come across as a panel to earn money with by completing surveys this isn't exactly how they works and that there is much more to it. 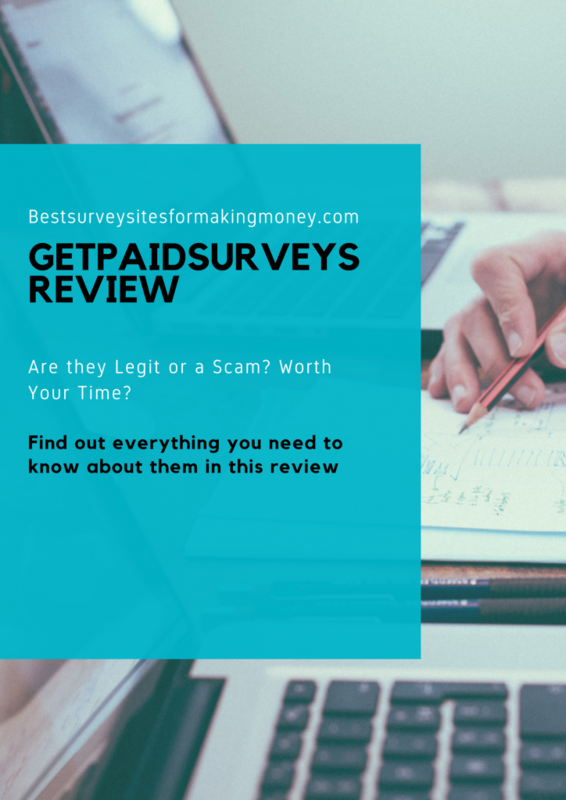 So if you have clicked on this review hoping for a panel to earn rewards with you will have to look else where or alternatively check out this list of quality survey sites I recommend to anyone looking to make extra cash doing surveys. I have to say to start off that I am no stranger to sites like BigSpot in fact I have tried many almost identical sites like this one already. If you use the form on the site to sign up you will notice you will be shown a host of survey sites that BigSpot recommend you join. So instead of operating like an actual paying survey panel you will be shown others. The thing is with the sites they recommend theres nothing special about them in fact I have tried out a few myself and found them to be okay. The reason they promote these sites is because they have affiliate partnerships with them where each time someone clicks and join ups they get a commsions. Its quite clever and you can guess that if many people go through this process that BigSpot will end up making a lot of money. Most survey panels will pay between $1-$5 per sign up, so if you have visitors joining all the recommendations its going to lead into a nice payday for BigSpot you could presume. It is possible for you to make money once you have signed up to the panels but do remember that you are making money with the survey sites and not BigSpot themselves. Its like being the company in the middle, you take sites that compare hotel prices for e.g. these sites work by showing you the lowest price for a hotel room to help you save money, if you then book with that hotel the site comparing the hotels will get a commission. Its as simple as that. The reason why I don't like BigSpot is the fact they don't even give you any information on the survey panels, such as how much can you make per survey, who can join, what demographics they target and when can you withdraw your earnings. Instead they just chuck a bunch of panels at you with join buttons without any other information. Since I review many survey sites here if I do recommend one I'll make sure to include all the information you need to know about them and also make sure that they are relevant to you. If there is one positive to take away is the fact they don't cost any money and you can find out survey panels without having to pay money for a list like other programs do. Programs like Click4Surveys are ones to avoid where they try to charge you to get access to 'exclusive' survey sites. That's not the case with BigSpot but always be wary as scams do exist unfortunately. BigSpot is not legit and a site that is only designed to make the owners money through recommending survey sites. I would not recommend them as they are just not the worth the time and your time is better of invested in actual paying survey sites such as these ones. BigSpot is not recommended and I would stay well away from them for the reasons I stated in the review. Its not all doom and gloom as there are survey panels out there that do pay and I have taken the time to comprise a list of my favourite survey panels, that not only pay but well. Check out the link below to check out my list of survey panels that will make you money online each month doing paid surveys. What do you think to BigSpot.com? Have any questions or opinions you would like to throw my way? Looking to find out whether is Gold Opinions a Scam then hopefully this review will answer this question and any others you may have. You might have checked them out beforehand and see the claims that they have made on what you can make. Repeatedly they talk about how you can make $50 per survey. However is this even true? That is of course great money especially just for giving your opinion however with most things in life if it sounds way to good to be true it can be best advised that you stay well away. Make sure to read until the end of this Gold Opinions review as I'll be covering everything you need to know about them and trust me there are things you must know! Gold Opinions is a site that try's to convince you that you can make unheard of money completing surveys. This is one that is too not be trusted especially since you have to pay money! Gold Surveys may seem to be your ordinary survey site at first that claims to pay you to do surveys. However from inspecting the site and company they are anything but. Some people may be unfamiliar with the concept of Gold Opinions. Instead of offering opportunities to make money they instead show you survey sites that you will make money. Firstly they get to buy you the membership to get access to 'exclusive' survey sites (actually not! ), this will cost you $1 for the first 7 days and then $29 after that. As you can see Gold Opinions are making a fair few bucks per person who gets conned into their program. The problem here is that no one should need to buy this membership in the first place. You simply shouldn't need to spend money in order to get a few survey site recommendations. Its so easy to find survey sites online, you can simply google them, so as you can see you would only be chucking away money here. Then again the promises they make and how they claim that you will be earning with them, could convince you into thinking they are worth it. This is good for those of you who have brought the membership but then later found out (reading this review) that Gold Opinions is a load of rubbish! This is because all Clickbank products do come with 60 day money back guarantee, so you will be able to get a refund. Many scams do come through Clickbank and it stops them from scamming lots of people as at least you can get your money back. Those two things above are very common when it comes to scams, they are so desperate to make money and con you that they make the product to be something you require and will make you lots of money. In reality though this isn't true and you will find that the sales tactics used with Gold Opinions have been done many times before. With this one they claim you can make up to $50 a survey, with premium ones paying out the most. In my history of completing surveys and I have gone through many I have never come across a survey that has paid that much. There are opportunities such as video surveys where I have recived payments of around $50 from companies such as Mindswarms. However these surveys are different and involve you saying the answers to survey questions in front of camera. If you try out most of the reputable survey sites or even check out Survey Police who have many featured you will find the standard rates are $1 to $5 a survey. This is a normal amount you can expect to make per survey, not the amounts they claim. They also claim you can work flexible hours, this is also doesn't sound right as with surveys you aren't get paid per hour. Instead you are paid per survey you complete. Market Research companies are looking to reach a certain quota to complete there surveys. Once this has been reached they will close the survey down. Every survey tends to pay various amounts depending on it's length, time and topic. Those two factors are why its hard to make a standard hourly income completing surveys. What has to be one of the standout signs that this is a scam is that you have to pay for a subsciption. You don't get any training, surveys to complete, or anything else of worth for the $27 that try to make you pay. All you will get is a few survey sites that they recommend, so its safe to say your not gaining a great deal here. Completing surveys and the industry in general consists of market research companies looking for opinions on various things something that you shouldn't need to pay for. 3. Won't Make You Any Money! Sure you will make money if you join the survey sites they recommend however that defeats the object as these sites can be found for free without investing any money. What I don't get is the fact there is a membership in place that you must by so not only are you conned but you are conned every month you keep the membership going. Imagine leaving the membership active for 12 months that would be $3,240, for what though? A list of survey sites that make you a full-time income. It sounds like such a scam to me and could be one of the worst ones I have seen. I have found sites such as SurveyAllStars and GetPaidSurveys trying to con people into submitting their email details for exclusive survey sites but the fact that this one make you pay a recurring fee is quite ridiculous. So Is Gold Opinions A Scam? As you can tell Gold Opinions is not legit nor is it a site worth your time and effort. I would advise you stay well away from this scam as they are only out to get your money. They are not providing a service that will help you make money or even an actual survey site, the only thing they are after is your hard earned money. There are many other companies just like Gold Opinions out there and one thing they all have in common is greed to get your hard earned money. To be honest I am sick of seeing them, but at least I get to check them out and give a good review on them to hopefully stop more people from falling for there traps. You were probably just looking for a genuine opportunity to make money by giving your opinions in surveys and I have got you covered there. 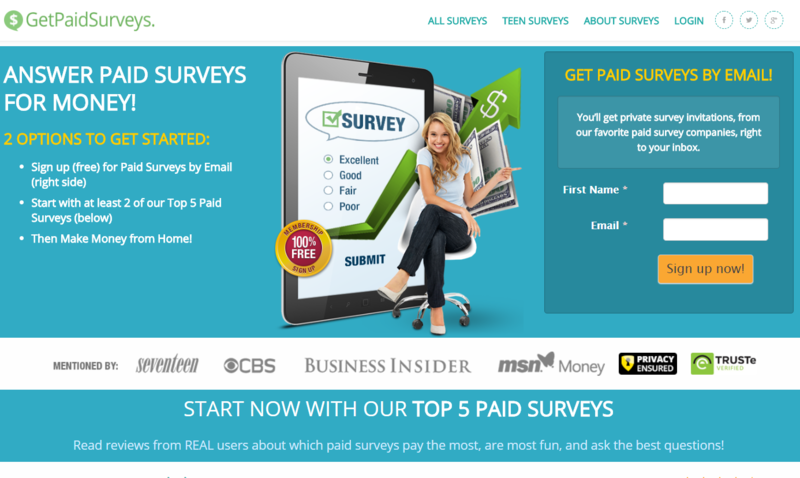 By clicking on the banner below I will show you a list of survey sites that actually pay out. What do you think to my Gold Opinions Review? 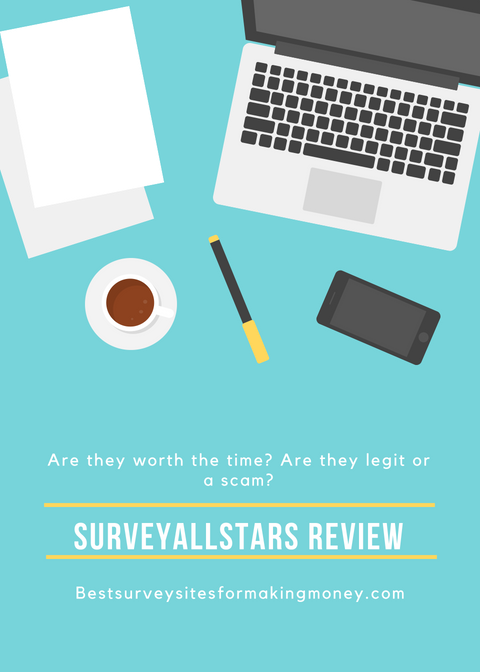 SurveyAllStars Review – Legitimate Survey Site To Earn Money? I have had a few people come up to me wondering whether or not SurveyAllStars is legit or not so I thought I'd check them out for myself. In this SurveyAllStars Review I'll be taking you through everything you need know about them. From initial impression they don't exactly look like a survey site that offers genuine opportunities to make money like they initially come across to. As I'm guessing your here to find out more about them then hopefully this post helps you answer any questions that you may have. I'll cut to the chase and tell you that SurveyAllStars don't actually pay out or even offer opportunities to earn money, but I'll go more over that in this review. For the time being and if you want to skip the next 5 minutes talking about a pointless site I would rather save your time by showing you a survey site that does pay and will benefit you. Click below to read my full review of my #1 recommendation and how you can get started completely free. So instead of making money directly with the survey site like normal such as ones like Swagbucks and Prizerebel they simply refer you else where. If you look around the internet you will find very similar sites scattered around that have pretty much the same concept in that you are shown sites elsewhere that you can make money with. The difference here is that every time someone signs up to one of the sites they feature their partners pay them, so its basically a sales funnel set up to help them gain. When you first come across the site you won't find a great deal of background info on SurveyAllStars instead you are greeted by a registration form which they advise you to go through in order to sign up to them. The FAQ's themselves are quite misleading as they state you are signing up for a membership and that all you need to in order to become a member is fill in the details. You aren't creating a membership with them which is where the confusion is, instead you are signing up for their newsletter. That's one of the reasons I don't like sites like this one as they make it so misleading, where someone would sign up thinking that they will be completing surveys at SurveysAllStars themselves. The only reason they want you to do that is so they can spam you with emails full of promotions, not good ones by the way. You may be thinking especially if you have checked them out before looking at this review that you are joining the actual site. That's not the case however as you are signing up to their email newsletter where they continue to send promotions and offers to do with other survey sites for you to join. Again every time you sign up to one of the sites they recommenced they will receive a commission for that action, this is also known as CPA in the internet marketing world. You will be able to make money with some of the survey sites they recommend but just to make it clear you won't be making money with SurveyAllStars. Some of the survey sites they do recommend are legit such as Swagbucks and VipVoice which I have checked out and do use the latter for myself. 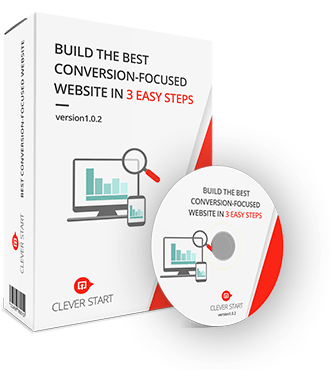 By joining them sites you will be able to make money doing things such as completing surveys, but after you have gone through the funnel the relationship is between you and the survey site. If you do have issues with one of the survey sites you will need to contact the survey site you've joined themselves not SurveyAllStars as they have no involvement with them apart from referring you in the first place. SurveysAllStar may be legit in the sense that they aren't selling you services or trying to con you of such but there is still no real use to the site. I mean feel free to try them for yourselves as you won't have to buy anything but you will probably get a whole host of spam through your inbox. This is why I wouldn't recommend them. The thing I don't like is that they try to come across as a company trying to help people make money through completing surveys. Although is almost the opposite and all they care about is getting people to sign up for sites in return for commissions. What do you think to my SurveyAllStars Review? Do you see any using their website? eSurveySeeker Review – Are They Legitimate Or A Scam? In this eSurveySeeker review I'll be going through all you need to know about the panel and be telling you whether or not they are genuine opportunity to earn money. There are many survey sites out there that claim to pay and this one seems to be another one. All in all completing surveys can be a great way to generate an income, however not all sites are legit and will pay you fairly which is why you have to be wary and do your research before hand. It's good your doing your research with this panel as from first impressions they don't look great and thier are aspects of concern with this one. As I don't like to judge a book by its cover I will be delving deeper for myself to find out whether or now eSurveySeeker is legit. If you are looking to make money for giving your opinions on surveys then check out my #1 recommendation below. They are established, offer plenty of ways to earn and have a variety of rewards on offer to choose from. eSurveySeeker is a survey panel that claims to pays you to complete surveys, take part in research projects such as focus groups and do mystery shopping. However it is quite misleading, when I first came across it I thought it was just your standard survey site but it seems I was wrong as its a system designed to make the owners money. I have reviewed sites just like this one such as Top10bestpaidsurveys, GetPaidSurveys and SurveySpotter, they all seem to adopt the same kind of concept. The first thing you will need to be aware of is that eSurveySeeker themselves don't offer any ways to make money. For the survey sites they recommend they mention how for each survey you complete you will be paid out. They say that you can $10 for a short survey, but that does sound way too good to be true. I have found some of the best survey sites in the industry to pay no more than $5 max for a survey, and them ones tend to be longer. So does seem to already sound like BS in my opinion. The other opportunity that they mention is Focus Groups participation, here you can get paid up to $150 per study. How likely that is I'm not sure however I do know and have reviewing panels out pay within those regions. This means that the pages I have listed would be of no use as companies have their own versions. Interestingly they do also have a contact us page, but I'm not sure why they need it as any problems you encounter with the survey sites you would need to take up with the sites themselves not eSurveySeeker. In the FAQ part of the site and in general mostly they have unrealistic expectations of how much you can make in the industry. Like I brought up earlier they claim that you can make $10 for completing a short survey which is well above the average industry payout. In all honesty I have tried so many similar variants of this site its crazy. These sites never pay out they are simply funnels set up to make themselves money, at no point do they put you first. For this eSurveySeeker I have marked them as a scam as they are misleading and don't offer you opportunities to make money through doing surveys. 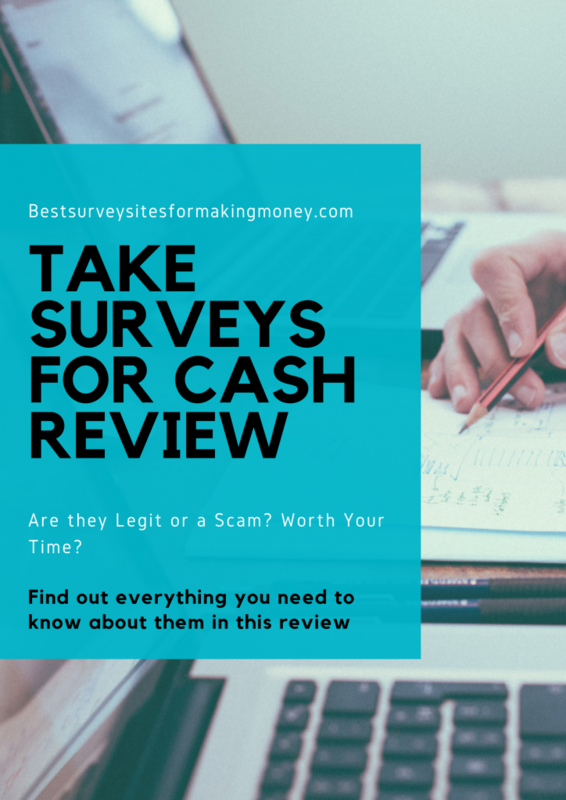 So to round this review up if you are sick of survey sites that don't pay (like I am) and are looking for ones that do then check out these top rated survey sites that are established and actually help you make money. What do you think to eSurveySeeker? Have you got any opinions on them? Take Surveys For Cash ‘Scam’ Review – Can You Really Make $3,500 A Month? Recently I've been getting multiple comments of which most of them were spam here at BestSurveySitesForMakingMoney promoting a panel called Take Surveys For Cash. Before I go any further this company is a huge NO NO in other words a SCAM. All this panel is out to do is cheat you out of money instead of actually trying to help you make money. I will be covering everything you need to know so its important you read the rest of this review to find out! 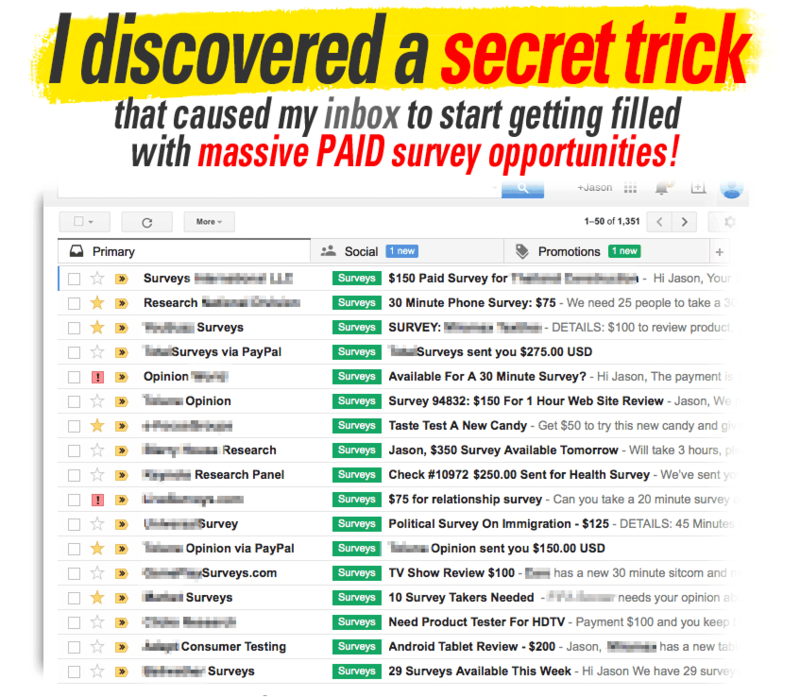 I've had comments such as 'Check out how to make $3,500 now here' 'Find out the secret trick I use to make lots of money completing surveys here' and so forth. However from my experience making such money from surveys is just not possible. 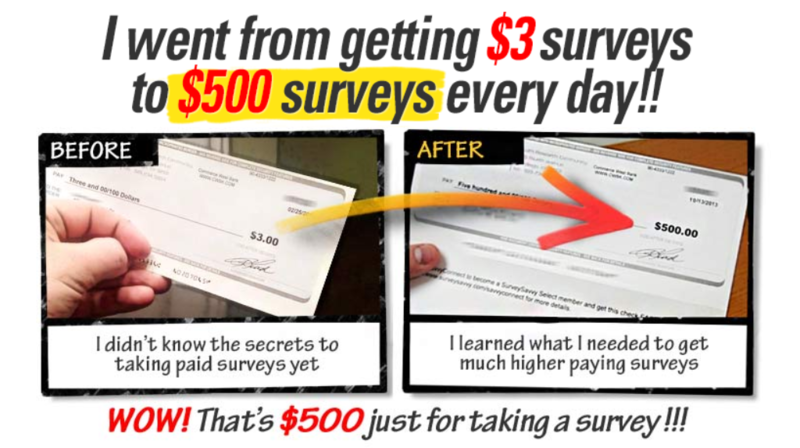 Sure you can make an extra $500 A Month with some sites but in general you will struggle to make anywhere near the amount that Take Surveys For Cash claim to pay. For some people this would be enough to even quit your job as that's basically a full time income. The question it leaves me asking is if you can make so much why have I only just come across it now. Anyway it's good your here as in this Take Surveys For Cash 'Scam' Review I came across a lot of information that you must read if you have or are considering using their services.. Since researching the panel I've found it all seems to be centered around the owner Jason White. When you first go on the site they emphasise the word 'Freedom' as they say by completing surveys you can live the life you want to. Sure you can definitely make money completing surveys and a lot of people currently do, but the earning potential isn't that high. I would love to see income proofs from members who have been paid from them as I've never come across a survey site that will help you achieve income in that region. To be honest it's not possible to become so financially free as surveys typically pay enough to help you make extra cash online not all of sudden help you to quit your job. The way the snippet on the site by Jason White make it sound he makes completing surveys online look so easy. It is an easy activity to do however it can be stressful as not every survey you will qualify for and from time to time when your not a fit for one you may get booted. 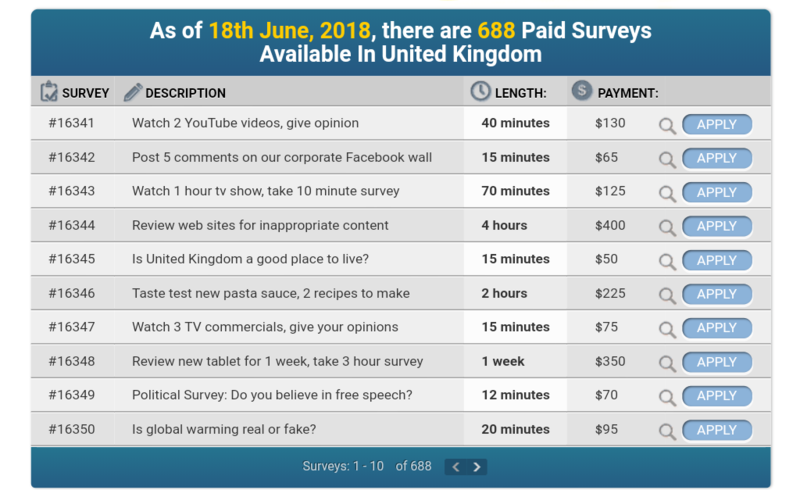 Unfortunately while the below picture seems to give an example and show how making money from surveys is easy, well it is simple however racking up those numbers is impossible. This is because the Legit survey panels don't normally offer surveys that pay over $50 let alone $400. Who Is Behind The Survey Panel? As I briefly mentioned they are owned by someone called Jason White but through doing research on him and the panel it seems there isn't a great deal on the owner. For all I could know he could just be a made up person as on the site you wont see any videos or pictures with him featured in. While this isn't a common theme with survey sites I have stumbled across some in the past where owners have been either made up or there is no information on them. In order to start making money you need to buy there program which is a one off purchase of $35. Absolute steal in my opinion...worth every penny! Of course I'm joking as paying so much just to get a program that promises you getting dozens of invites to surveys is not worth it. In fact in the world of online surveys participation is free and it shouldn't cost you a dime to complete any surveys. You will see multiple screenshots on the site of how much you can make money and for some of the amounts they are new to me as ive reviewed many panels none pay within any of those regions. Sure some panels that are looking for a targeted audience may give out the occasional survey in the hundreds region however that is quite rare. 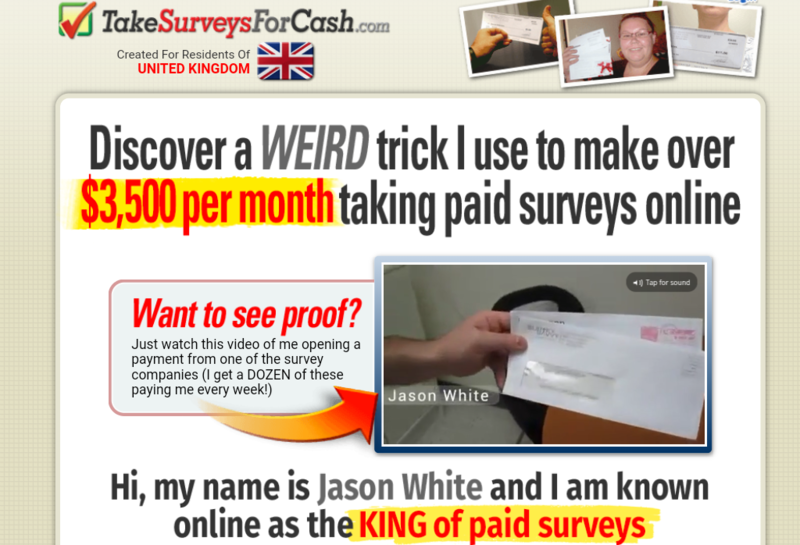 What amazes me and looks way to good to be true is the fact Jason is claiming and showing you how hes getting a minimum of $50 a survey. I have never come across panels paying anywhere in that region!? When your on the site you will find many testimonials in fact its swarming with them. These are basically people who have been paid to provide a good review of the company. These are normally brought of Fiverr and similar sites like that where you can buy different services. Anyway with that said alot of the information on the site is fake and the reason why Take Surveys For Cash is a scam is due to the fact that you are repeatedly being sold. Literally everything you read you are being told how the program is the best one out there and how you can make so much money. One part I recalled which you just wouldn't see from any legit survey panel is that you will get $50 bonus just for signing up, so essentially by purchasing the product you will make $15 profit. To me that just rings many alarm bells that this isn't a panel that is all what it makes out to be. Looking To Make A 'Genuine' Survey Site? This survey site offers opportunities in the form of surveys, watching videos, cashback and many others that will help you make an extra $500 a month. So Is Take Surveys For Cash Scam? Yes im afraid Take Surveys For Cash is a scam and not worth your time, not forgetting your money aswell. There are many genuine survey sites currently out there that pay you for completing surveys and are free to join, which is how it should be. Its a shame that people like Jason White set out on scaming people of there money through an awful sales pitch and funnel with Take Surveys For Cash. Unfortunately while some people have fell for the trap, I am at least glad to have got to you guys so I can advise you and point you in the right direction. 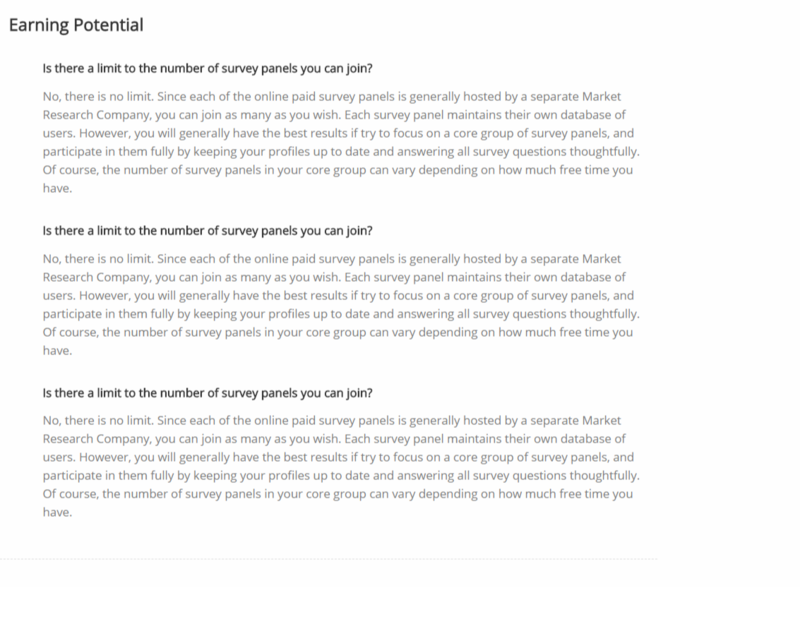 You can make money through completing surveys and you might be able to with this one, but with all the 'fake' details, upsells and basically aload BS I would advise checking out other survey panels out there instead. If you are still interested I have found these 5 survey sites to be high paying, established and come with a good reputation. Any of you have any thoughts or experiences with Take Surveys For Cash?